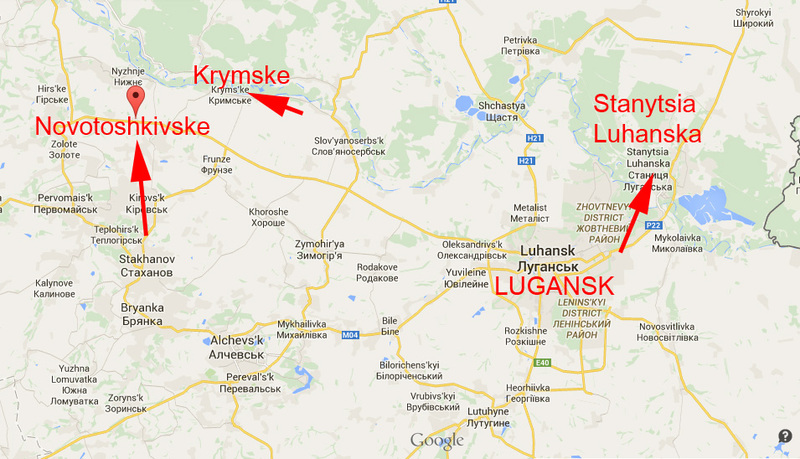 Terrorist of LPR fired with “GRAD” MRLS at Ukrainian village of Novotoshkivske in Lugansk Region. Last night on March 27 terrorists of so-called Lugansk People’s Republic (LPR) used “GRAD” MRLS again in Lugansk Region. 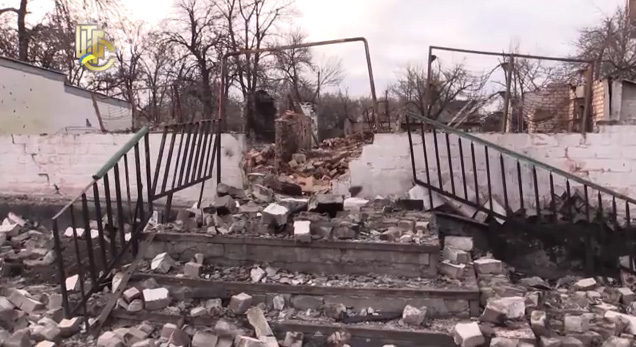 Below is the video made by Ukrainian soldiers today in Novotoshkivske village. The soldier says that “GRAD” MRLS was fired 3 times, 10-15 rockets landed behind them, few rockets blew up in front of their positions, few rockets hit checkpoint #29 and some rocket landed in the direction of Krymske village. That happened 1st time since February 15 cease-fire agreement according to Minsk II memorandum. At about 11pm yesterday terrorists attacked Ukrainian Army checkpoint #29 located on Bahmutka road and Ukrainian positions in Novotoshkivske village. – Hennadiy Moskal, the head of Lugansk Regional military-civil administration. The rockets blew up in the area of the coal mine and Kuibysheva st. One garage was burnt out, part of the village lost electric power. 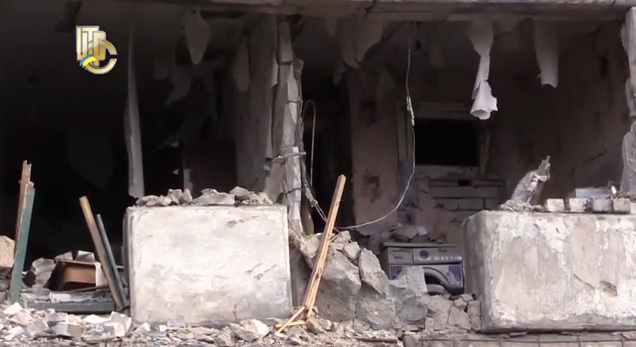 There were no killed or wounded among civil population as most of the people who still live there spend night in basements as their houses are destroyed or damaged. Also starting from 3.30am there was a fight in Novotoshkivske suburbs with the use of automatic weapon and grenade launchers. Obviously some saboteurs were trying to get in the village. During the night there was a fight between Ukrainian soldiers positions in Krymske village and so-called “Cossaks”of LPR in Sokolniki. Krymske was out the fire range, so there were no damage. 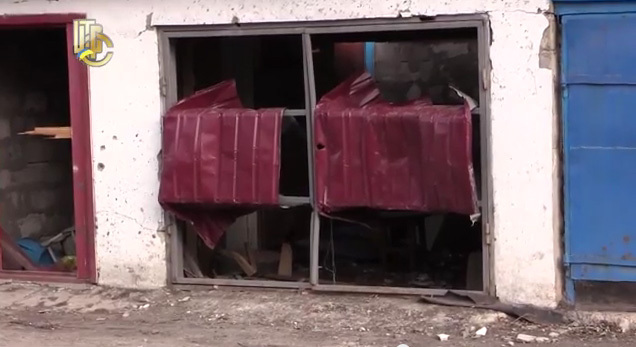 Stanytsia Luhanska was a attacked by terrorists with the use of automatic weapon, machine guns and mortars from 9pm till 11pm. The central part of the village lost electric power. There is no information about casualties yet.